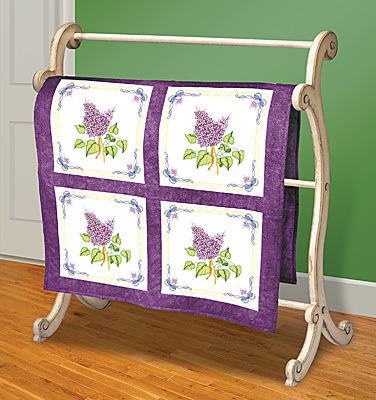 Dress up any room with this Lilacs Quilt Block. 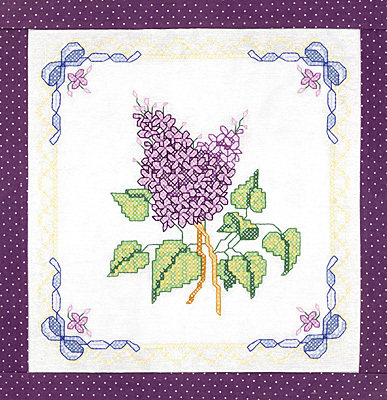 Add some color to your room with the beautiful lilac color and Stamped Cross Stitch. Designed by Sandra Garbrandt. Contains:6 screen-printd 18"X 18" 50% Cotton/ 50% Polyester quilt squares, needle, graph and instructions. Design Size 15 x 15. Floss not included.